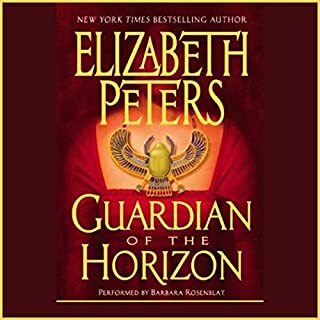 Amelia's not the type to take no for an answer, and pretty soon the Emerson family (Master Ramses, a prodigious young intellect is joining his parents for the first time) is tracking down a character known only as The Master Criminal. Or is the Master Criminal tracking them? Finally, all of the Emersons go on a dig. 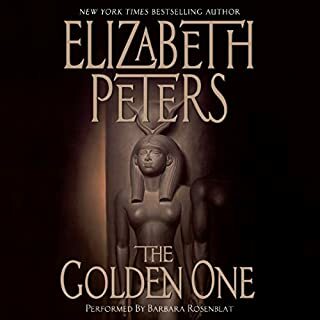 In The Mummy Case, their son, Ramses, joins Amelia and her husband in Egypt. This season, Emerson has his heart set on giving Amelia her dream: the excavation of a pyramid. 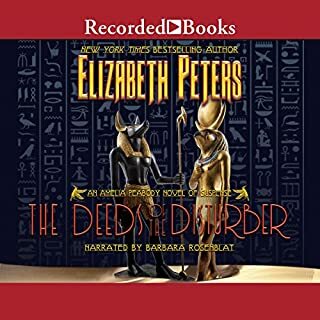 Along the way, the Emersons stumble across a master criminal and we learn just how loquacious Ramses is. If you like dry sarcasm, you will enjoy this series. Barbara Rosenblat is as wonderful as always. 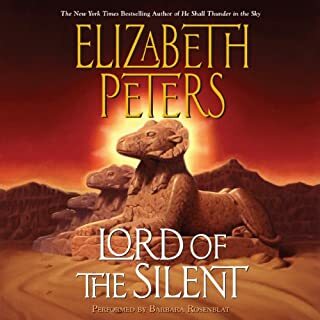 You may notice that there are two narrators for this series. 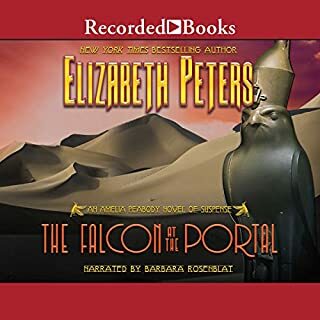 You do not have to switch narrators to enjoy each volume in this series if you stick with Recorded Books and Barbara Rosenblat. 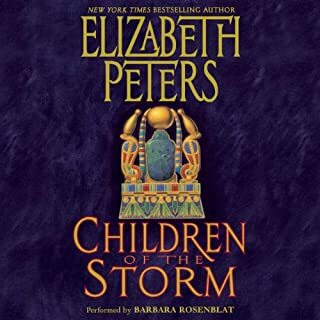 Ms. Rosenblat's amazing narration of this series deserves some kind of award. An Oscar-of-audio books. She makes these already-great stories into masterpieces. She 'plays the roles' of the characters with a range from gruff manliness to sweet child and everything between. 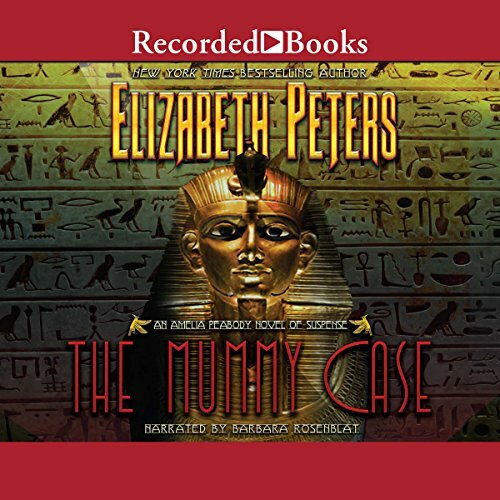 The Mummy Case brings the Emersons back to Egypt, this time with precocious son Ramses along to enliven the tale. Their dig site is uninspiring, but the Master Criminal makes their lives interesting - and full of danger. And the Mummy Case comes and goes. Amelia Peabody Emerson is hilarious and inspiring. Her stories are worth reading, and definitely worth listening to, if Ms. Rosenblat is doing the reading. I enjoy this series of books immensely. Amelia is a strong woman with a husband who appreciates her, and their adventures are always interesting. 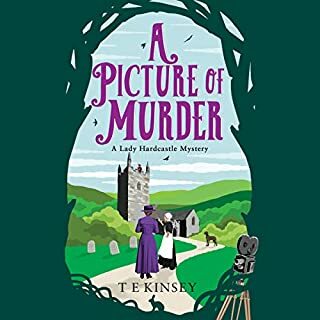 The author tells her stories with wry wit, and the narrator does a good job of the varied characters and their accents. 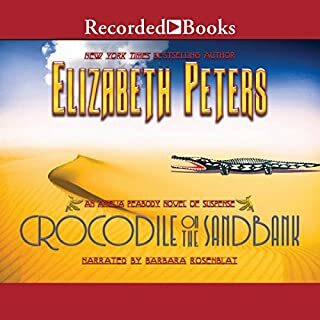 I have read and reread the Amelia Peabody series over the years and I'm now thoroughly enjoying them in electronic format. Amelia is wonderful - funny, audacious, and an example to us all. And Barbara Rosenblat IS Amelia Peabody. Her narration is the true icing on the cake. My goal is to get ALL of the series in electronic form but only by Roseblat - no one else even comes close to capturing the true essence of these novels. "What is a mummy case"? 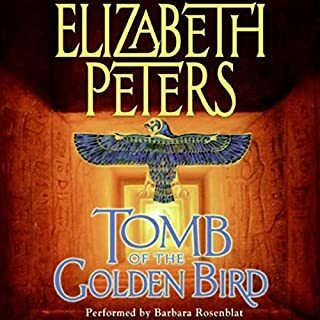 Wish there were more Amelia Peabody stories with Ramses as a young child. The Mummy Case is one of my favorites. Ramses is hilarious as Amelia is exasperated. Barbara Rosenblat is the best! 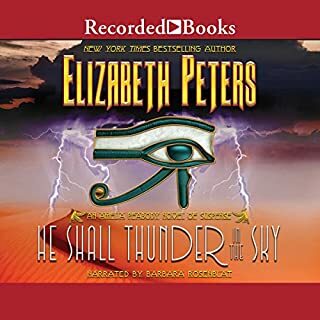 Elizabeth Peters does it again! 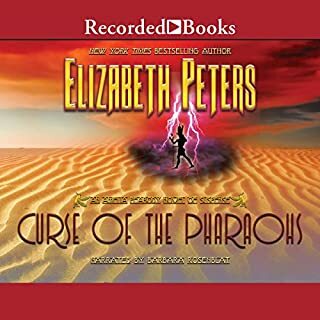 Amelia and Emerson are off to Egypt for another wild adventure. They are accompanied by their son Ramses. Their precocious son?s antics left me with tears of laughter rolling down my face. While other children are being tucked into bed by nannies, Ramses is reading hieroglyphics and expressing opinions on topics a person decades older would find difficult to understand. 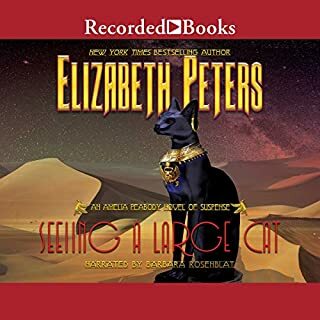 Barbara Rosenblat has captured Ramses? childish tones perfectly. 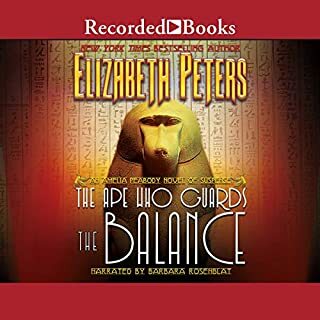 This hasn't typically been one of my favorites in book form, but man, Barbara Rosenblat's narration kind of made this magical for me. 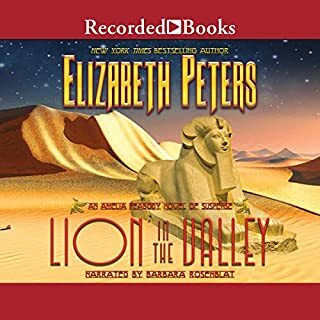 I had a difficult time with her at first, but with this third book, it's obvious she's grown into the characters, and now the voices she uses for Peabody, Emerson and Ramses just seem perfect to me. 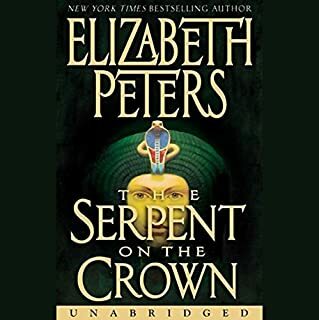 It's really been great fun listening to this series instead of reading it, and I can't wait to start the fourth book! Prepare to laugh out loud! 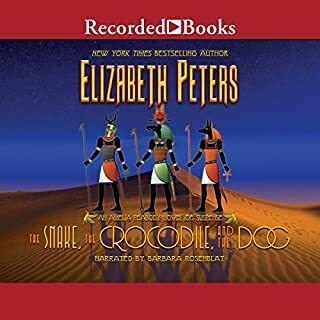 This is the first real instance where Amelia, Emerson, and their extremely precocious son Ramses work together in Egypt. Unrealistic, sure, but the child is irresistible, especially in the company of his mother. A not-to-be-missed part of the series. 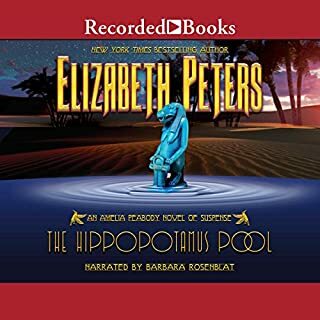 Just make sure you get the Barbara Rosenblat narration! She's not to everyone's taste, but Amelia Peabody is a delight to many; and these performances bring her to life. 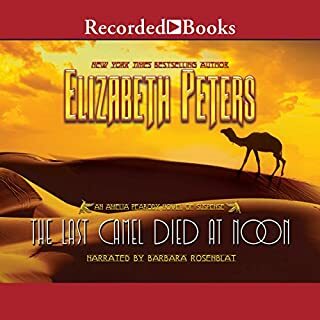 The narrator captures her perfectly, flaws and all, and delivers on the author's wry humor.